Many countries in Asia are growing thirsty for craft beer. Although developments have not been as rapid in Taiwan, more homegrown breweries are churning out vessels of their brews as we speak. Over time, craft beer has caught up, with a band of 20-ish breweries open today and growing. Numerous bars and venues are adding craft beer to their list of offerings. Redpoint Brewing Company was founded in 2014 and have come to open a full fledged brewing facility today with a capacity of 50,000L/month. 2 Americans who began as homebrewers, successfully made the leap to professional brewing. Here’s Spencer and Doug with their story. 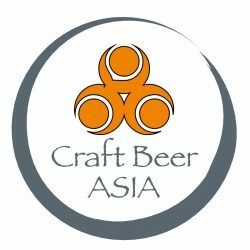 Craft Beer Asia: Short introduction on you two. I’m from Boulder, Colorado and came to Taiwan in 2008 on a Taiwan Ministry of Education Scholarship that provided tuition for a year of language study and two years to pursue a master’s degree. I graduated from Taiwan’s National Cheng Chi University with a degree in Diplomacy, then went on to manage the Taiwan branch of an automotive ERP company. During that time Doug and I started homebrewing, which we loved so much it quickly turned into us brewing 2-3 times a week. At that point we were making too much beer just for ourselves and started to give it away to our rugby teammates. As our recipes and homebrewing processes got better a close rugby friend took us aside and said we should think of making our beers commercially available, which inspired us to found Redpoint Brewing Co. Taiwan. I’m from Peoria, Illinois and have worked with semiconductor, wireless, broadcasting, medical and food & beverage companies and prior to co-founding Redpoint Brewing Company, I held executive management positions at Texas Instruments, WiQuest Communications and Advanced Digital Broadcast. My previous job was the Vice President and General Manager of Asia-Pacific and India Business Units for a Digital Broadcasting. I’ve been in Taiwan for going on 14 years, I’m an avid rugby player and an even more avid beer lover! Craft Beer Asia: Tell us about your company and how a work week runs. Who brews? Who runs the numbers and takes care of deliveries? Everything we do in the brewery, and as a company, is usually the result of collaborative discussion between the two of us. Everything from the recipes we brew, the equipment we purchase and our overall direction are decisions we take together. On brew day we’re a two man team and we do everything from milling to pitching the yeast. We actually don’t have any employees at the moment so brewing, packaging, shipping and account management are done by the two of us. We plan to hire on some employees over the next year but for the beginning we’re handling the brewery completely by ourselves. Craft Beer Asia: You guys are pretty much living the dream – starting a microbrewery after homebrewing. Any memorable times you would like to share? What skills were easier/harder to acquire? When did you quit your day jobs? Yes, we are definitely living the dream, I mean we make beer for a living! I would say what’s been amazing, when I look back on the adventure so far, is the sheer amount of work that has gone into this endeavor. We decided to build a brewery almost four years ago, and there have been so many things we have had to do to accomplish it. Funding was one of the most difficult. We wrote two completely different business plans, had to go for investment twice as the first time we didn’t reach our investment goal. That’s what led us down the path of contract manufacturing originally, to prove to potential investors that we could viably make and sell beer in Taiwan. At this stage we find we don’t have much time to look back as we keep moving forward. As far as skill acquisition, we are in the “you’ll learn something when you need to know it” phase of the business. We are confident in the direction we’re going, and while there are always issues that pop up, we feel we’re at a stage where we can learn what we need to in order to overcome whatever problem we’re facing. We are quite lucky because we different, complementary skills. Doug has quite a bit of experience doing business in Asia while I have been able to handle a lot of the local language issues, particularly around communicating with our contractors, partners and government officials. Spencer quit his day job in June of 2014 and Doug in November of 2014. Craft Beer Asia: What are the challenges in running your own facility (after contracting previously)? Is selling beer all over Taiwan difficult – do you have a distributor? Taiwan’s craft beer market is just getting started. This is both good, because there is a lot of room for craft beer to grow, but also has its drawbacks. This is particularly evident in the differences in policy interpretation across Taiwan regarding setting up a brewery. How one Taiwan county interprets laws for a brewery can be quite different from another county. So what is deemed legal for one brewery might not apply to a brewery somewhere else on the island. A lot of this is due to the fact that Taiwan brewing laws can be pretty ambiguous and left up to local regulators to interpret. This means we spend a lot of time in government offices to understand exactly what we need to do, and it’s worked so far! Luckily, selling and distributing is pretty straight-forward in Taiwan. The manufacturer can sell directly to bars, restaurant, end-customers and through distributors. We currently work with two distributors, Sheng Feng and Sark and estimate we’re in over 80 locations island-wide. We estimate the number of locations selling our beer will significantly expand when we are able to drop our price after we start producing ourselves. Craft Beer Asia: Was it difficult to brew for the local market? How did you decide on the low bitterness-big aroma for your IPA? We brewed the 台.P.A. (TaiPA) over 80 times on our homebrew pilot system, using at first a 20 liter then upgrading a 100 liter system. It was a long process to get exactly the taste that wanted but would also be accepted in the market at that time. Actually, this process of pilot brewing our flagship beer so many times also helped us come up with our brewing company’s name: “Redpoint”, which is a rock climbing term that basically means practicing a climb until you can do it perfectly. We were one of the first to come out with a locally brewed, hop forward beer and there was definitely a risk in coming out with an IPA when no one was brewing that style of beer commercially. However, the market has grown by leaps and bounds over the past year and a half and we’re looking to come out with some new styles, likely a wheat and a stout (scheduled for a February release), then maybe set our sights on some limited release seasonals and imperials. Taiwanese drinkers are hungry for some new beers and we’re stoked we can put a few more out there for people to try in 2016. Craft Beer Asia: You make 50,000 litres a month or so I read. Will you be exporting? We estimate our brewery capacity to max out around 50,000 liters a month, we’re not there yet as far as our current production, but we’ve built our facility with expansion in mind. Exporting is absolutely in our business plan. After the brewery is up and running we hope to be exporting in the next 2-3 months. Craft Beer Asia: Were you ever beer geeks who would go for highly rated or rare beers? What’s your favourite beer right now(not your own)? I don’t think we have ever considered ourselves “beer geeks”. When we started Redpoint we had about 2 years of homebrewing under our belt. We basically knew that we loved making beer, we loved it when people enjoyed our beer, and wanted to make craft beer for a living. I still don’t think we’re “beer geeks”, rather two guys that enjoy the craft of brewing and constantly work to put out fresh, quality brews. We like to look at what other people are doing, especially in the States, and see how we can take exciting trends and localize them. This isn’t just for beer styles, but also concepts like growlers and crowlers. We’re also thinking of how we can be innovative, too. Remember, beer has only been legal for private companies to produce since 2002 here. That means that an “open” beer market has only existed for around 13 years! There is so much that can be done that Taiwan hasn’t seen before, and we look forward to helping push the Taiwanese craft beer movement. I find my beer tastes constantly evolving as we experiment more with different flavors, so my “favorite” is constantly changing as I get to try more beers. I was able to get Stone’s Ruination IPA a while back and absolutely loved it. My taste leans towards IPA’s that are not overly hopped up but have a great degree of citrus components and various wheat styles. My favorite at the moment is by a brewery called Mother Earth and they are making some very interesting beers. In particular the Boo Koo all mosaic hopped IPA, which is an absolutely amazing beer. Keep updated with Redpoint’s happenings, and where you can get their beer while in Taiwan!